It is the heart of a man, and even many men that can inspire others to look at life more closely, especially in their own relationships. Relationships are what help us grow as people. It is our relationships especially with family and friends that influence us the most. The focus of this book is to focus on the true stories and poems from men of all different ages. Many of the stories discuss stories and poems about relationships that are more spiritual and personal to the heart. There are also some stories here that appeal to the humorous side, hoping to give you a smile and showing the more humorous side to relationships that impact our lives regardless of how small or great in significance. This book will not have romantic stories about romance, but rather more about the inner turning point in each man’s life and what or who helped to change them to move in a more positive direction in life. If you believe that anyone is capable of change and that sometimes just a little inspiration from someone or something can make a world of a difference than you will enjoy the stories and poems presented in this book. ﻿No matter how you see things, life is always about relationships. We're constantly learning and growing. It's a process that helps us understand ourselves and others. And it helps us learn what's important in life. Our relationships, whether good or bad, shape our perception and view of ourselves and others. Without these experiences, we have no true depth to our lives. 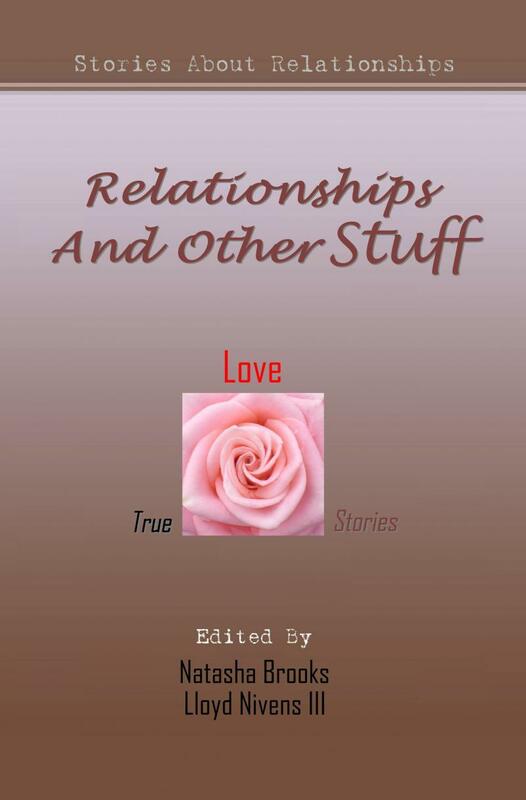 Relationships and Other Stuff (True Stories from Women) focus on true stories from women of all ages. Being a woman is truly something to celebrate. This book takes a look at the secret place in a woman's heart and soul that has helped to shape her into the woman that she has become. Editor, Natasha Brooks distributes the contents into five topical story sections - each describing these women's relationships and experiences with important individuals that have shaped their lives; people such as their mothers, grandmothers, aunts, friends, husbands, and fathers. Each section explores definitions in which each woman's stories and poems of growth explains experiences that touch on what it means to be a woman. Relationships And Other Stuff is based on various commentaries, non-fiction stories and poems about relationships, as it relates to romance, and other life lessons. A very honest and humorous look at relationships both good, bad and everything in between. Introspective views of relationships and all of the "stuff" that we have to deal with in the process. There's always lessons to be learned in this journey called life.